The centrepiece was the Innovation and Skills Plan, a series of proposals that included additional venture capital funding, new support for innovation in key growth areas and superclusters, and Innovation Canada, an initiative to bring siloed projects and funding programs for innovators under one roof. More recently, the government in its 2017 defence policy introduced IDEaS (Innovation for Defence Excellence and Security), a program currently seeking Treasury Board approval that will invest $1.6 billion over the next 20 years to generate solutions to complex challenges across the Canadian Armed Forces. It will also speed up the development of new technologies through contests, sandbox trials, research networks and other programs. The devil is always in the details of such initiatives, and all are in the early stages. Still, they have been widely welcomed by the aerospace sector. 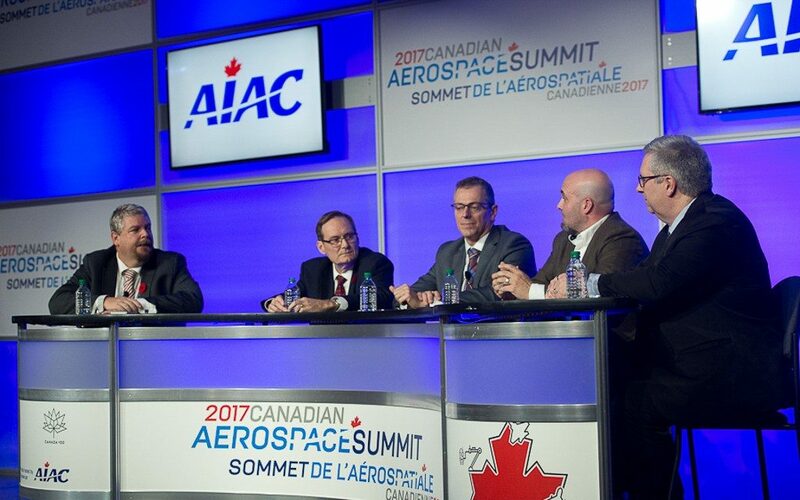 However, innovation is not for the inexperienced, four seasoned small business executives cautioned during the annual Canadian Aerospace Summit on Nov. 7. While government programs often appear to be tailored to recent graduates with youthful enthusiasm, true innovation doesn’t succeed without business acumen. “It takes experience; it takes patience,” said Gabe Batstone, a self-described serial entrepreneur with over two decades in the tech sector, who recently launched Ottawa-based Contextere, an artificial intelligence firm focused on applications for blue collar workers that has secured funding from BMW, Lockheed Martin and Samsung. In fact, tried and true business practices focused on customer relations are essential to entrepreneurial success. The pace of change is also creating challenges for small business, and it’s not limited to technology. Development cycles, production schedules, and time to market have all been compressed in recent years. For Patrick Thera, president of SED, a division of Calian that has been developing commercial satellite and ground systems solutions for over 50 years, that means being shrewd about where and with whom to invest. Gastops, too, has invested far more than previously in establishing collaborative networks to further its innovation. “I strongly believe, especially for a small company, that you cannot do innovation in the aerospace industry by yourself alone in the back room,” said Muir. Adapting to the pace of change can be especially difficult if you don’t have the necessary specialized skills in your company. All four executives acknowledged the challenge of finding top software and engineering talent when much larger companies in every sector are pursuing the same people. But they also argued that as products become more sophisticated, expertise in procurement, project management, intellectual property and marketing is critical to innovation and a company’s growth. When you are competing against cool start-ups with world-changing visions, “you have to go a long way to show people that you do offer a lot of things that they can take pride in, that you save lives every day with the technologies you create,” said Thera.